Registered nurse certification in Alabama helps students in enhancing their abilities and making them master in the clinical practice. With the increasing demand for healthcare services, it comes as no surprise that nursing is becoming one of the most desirable professions among the aspirants across the country. The RN license in Alabama is issued by the Alabama Board of Nursing. The applicant should have to successfully complete the state-approved registered nurse program, like bachelor, associate or diploma course. 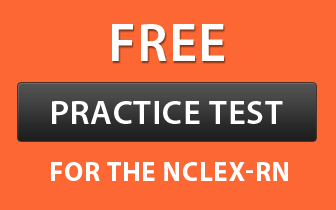 Candidates are ought to clear the NCLEX-RN exam. Aspirants are required to deposit application fees of $85. The proof of citizenship/legal presence should be presented by the students. The candidates also need to undergo continuing education of 24 contact hours every 2 years. The initial step is to choose any of the three courses (bachelor, associate or diploma) and enrol into a state-recognized nursing school. The next step is to qualify the NCLEX-RN (National Council Licensure Examination – Registered Nurses) with at least 70% marks. The final step is to fulfil the state requirements and submit an application in order to possess an RN license. Complete Endorsement Application : The nurses are responsible to complete and deposit the Endorsement application. Renewal Fees : The required amount of fees should be deposited at the time of submission of the application form. Verifying the Licensure : Your licensure should be verified and mailed to the Alabama Board of Nursing by your original Board of Nursing. Remember, a copy of your certification will not be considered as verification, only original verification will be accepted. In case, you have obtained the original licensure from Arizona, Alaska, Colorado, Florida, Connecticut, Delaware, Arkansas, District of Columbia, Idaho, Kentucky, Iowa, Indiana or Louisiana, you can order your license verification from the following link:www.nursys.com. Transcript from Nursing School : An official transcript is required to be mailed in a sealed envelope to the Alabama Board of Nursing from your school of nursing. Transcripts sent through fax will not be accepted. CE (Continuing Education) Requirements : Submit certificates of completion of continuing education of 24 contact hours, which must not be older than 24 months from the date the Board receives your application, either through fax or mail. You are ought to acquire contact hours through home study, internet, intranet, workshops, classroom, web casts, continuing education journals, seminars and pod casts. Complete 24 contact hours of continuing education (CE) in the last 24 months. Provide copies of CE certificates and other necessary documents. Submit proof of US citizenship. Pay the reinstatement fee of $225. In Person : You can visit the Head office and complete the formalities keeping in mind the office hours. How to Get Duplicate License? In case, you lost your original license, you can request for a duplicate one using the below link. The Alabama Board of Nursing will deliver it in approximately 14 days.